Today I found out about Project Pigeon and Project X-Ray, WWII plans to use pigeons to guide missiles and (literal) bat bombers. The National Defense Research Committee was skeptical of pigeons guiding missiles, but contributed $25,000 (about $321,000 today) toward research into it anyway. Even with this support, Skinner’s idea was considered eccentric and there were few in power who would take him seriously. That wasn’t the end of Project Pigeon though. It was brought back by the Navy in 1948, only this time called Project Orcon, for “Organic Control.” It was canceled again in 1953 thanks to advancements in electronic guidance systems. Bat Bombs were another experimental weapon considered by the U.S. during World War II, at the suggestion of a Dentist, Dr. Lytle Adams who was a friend of the First Lady. 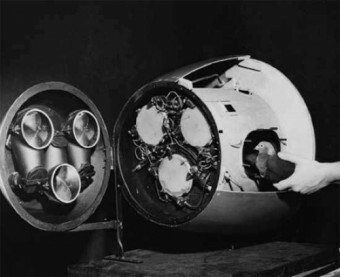 These bombs consisted of a bomb-shaped casing with several compartments inside. Each compartment housed a Mexican Free-tailed bat. Each bat had a small incendiary device attached to it. The casings were refrigerated in order to lower the bat’s body temperature and force them into hibernation until they were dropped from a plane shortly before dawn. A parachute would slow the descent and eventually the casing would be triggered to open and release the bats. As bats in sunlight would seek roosts in dark places like attics, when they were released and the Sun came out, they’d seek such places. 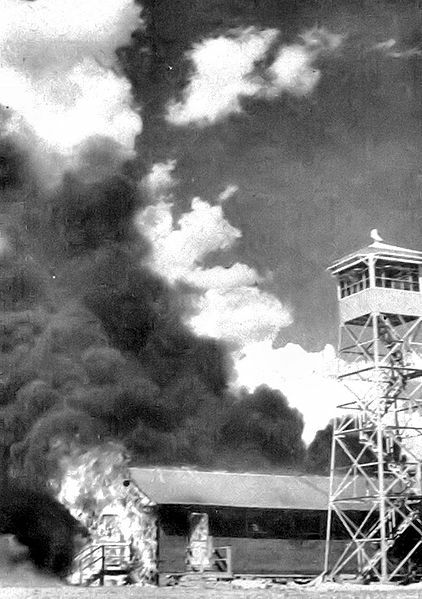 The hope was that with the incendiaries timed to go off all at once, this would start fires in places that were hard to access to fight a fire. Further, in many cases, the fire’s existence wouldn’t be noticed until it had well established itself. However, the program was cancelled, as with the pigeons not because it didn’t work, but for other reasons. In this case, it was estimated that the bats would not be ready for deployment until mid-1945. Despite the promising results in testing, the program was considered to be moving too slowly, and, with an estimated $2 million invested in it (about $25.7 million today), too expensively. Instead, the Manhattan Project was deemed a more likely candidate for ending the war sooner, as it was thought to be progressing quicker and certainly would have a more dramatic effect if it was ultimately successful. “…for avoiding having to use a nuclear weapon in war and the massive loss of life that ensued, I think we can all, except for maybe the bats, agree that it’s too bad the timetable on the bat bomb project was considered too long.” Really? Ever heard of the firebombing campaign that we waged against the Japanese? Incendiary weapons don’t result in a bunch of peaceful house fires, they create massive firestorms, such as the ones that ripped through Tokyo, Osaka, and the rest of Japan’s large cities, killing somewhere between 200,000-900,000 people.